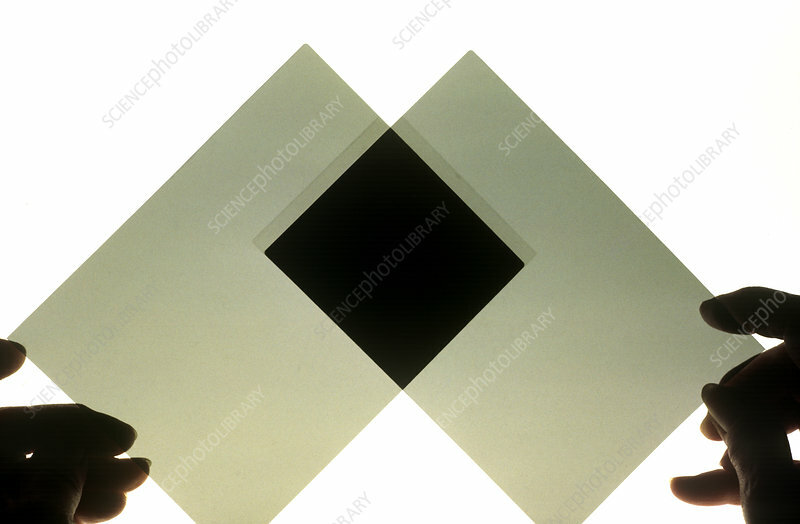 Two polarizing filters at 90 degrees filtering all light. A linear polarizer transmits light waves that are polarized along one direction (called polarizer axis) and absorbs or reflects light that is polarized perpendicular to the polarizer axis. It follows that when two polarizers are used in sequence and their axes are perpendicular to each other (crossed), no light is transmitted. When the polarization axes are parallel to each other the transmission is maximized. Light transmission through two polarizers as a function of angle between their axes is called Malus' law.